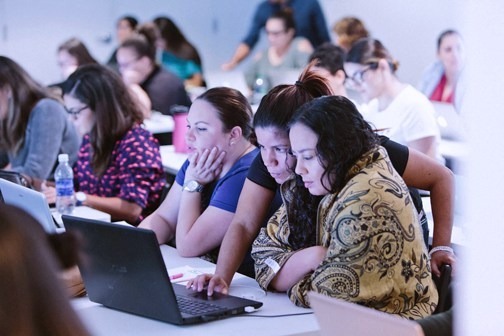 e-Nabler Corporation, a provider of mobile POS software, and Rocket Farm Studios, a Boston-based mobile development studio, announced they will sponsor two high potential students for classes at Codetrotters Academy, Puerto Rico’s first coding bootcamp. “At e-Nabler we’re always looking for the best tech talent to keep growing and servicing our international clients. Finding app developers on the Island is not an easy task and that’s why this partnership with Codetrotters is so welcome,” said Joel Vazquez, CEO of e-Nabler Corporation. Daniel Katcher, founder of Rocket Farm Studios became interested in the Island’s tech talent when Kevin López, a former app developer at Wayfair who has worked with him for some time now moved to Puerto Rico and decided to give back to the local tech ecosystem by teaching at Codetrotters. “Kevin is one of the most talented iOS developers I’ve had the pleasure of working with. When I found out he had moved to Puerto Rico and was teaching an iOS course I immediately became interested in the local talent that would graduate from his class,” Katcher said. “We’re always looking for top talent at Rocket Farm and we now see a unique opportunity to attract tech talent from Puerto Rico while also contributing to the development of the tech scene on the island,” he added. Students selected for the scholarship will have to demonstrate basic programming knowledge as well as the talent and determination to pursue careers in the mobile app space. Once the course is over, e-Nabler and Rocket Farm Studios will evaluate graduates and determine whether they would like to extend offers to students. “We’re excited about the prospect of increasing our mobile developer community and of expanding remote work and international opportunities for our tech ecosystem,” said Stolberg. Applications for the scholarship will be open from March 6, 2018 and will close March 22nd, 2018. Courses will run from March 27th to May 24th. To apply, follow this link.